How Can I Restore Files From The Vault? /How to /Restore /How Can I Restore Files From The Vault? 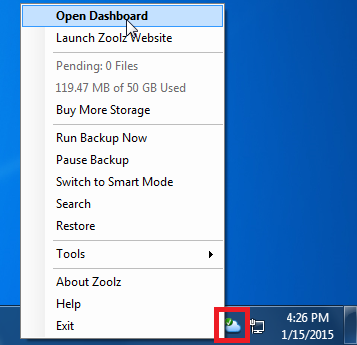 Right-click Zoolz agent in the system tray and select the Open Dashboard option. Click on the Restore option. From the window that will appear, select the Vault option from the drop-down menu of Computer Name. 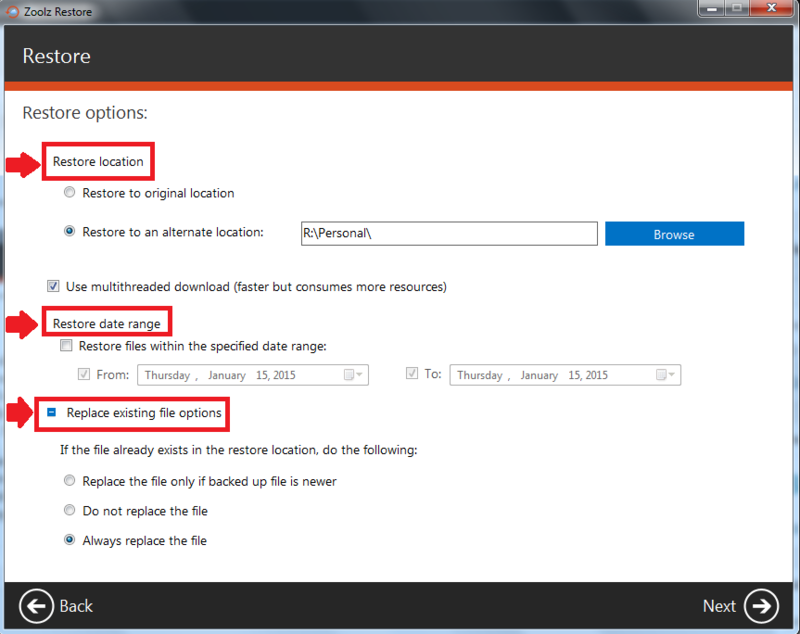 Select the data that you want to restore and click on the Next button. Select the restore location, the restore options and the time frame that you want to restore from then click on the Next button. Zoolz will start calculating the files that will be restored and you will notice that a red cloud appears in the system tray. Sign in to your Zoolz online account. Refer to the My Computers tab. Click the Vault option on the left-side panel in order to view the content of your Vault folder. Browse the content of the Vault folder → Select the files you wish to restore → Click the Download icon. I Have a License Key. How Can I Use It? How To Become An Affiliate For Genie9; One Of The Top Leaders In The Backup Market?